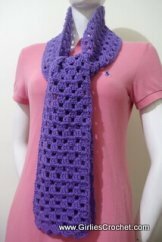 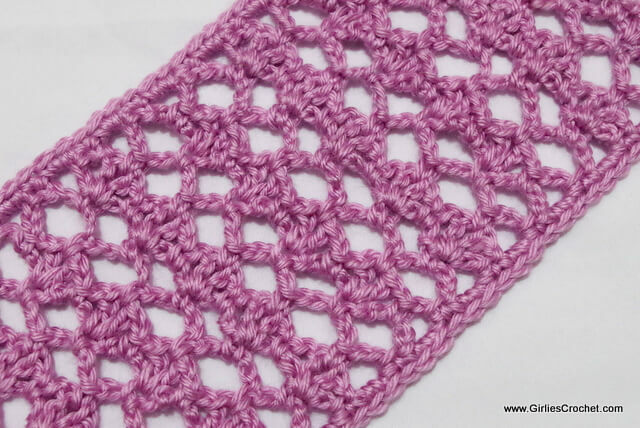 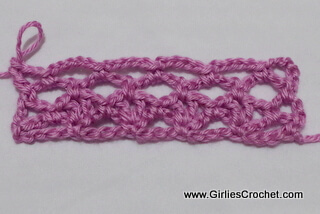 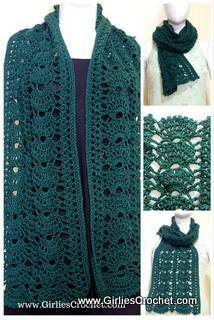 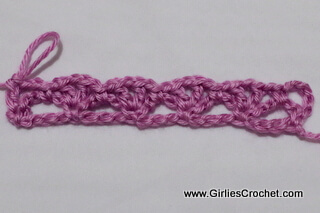 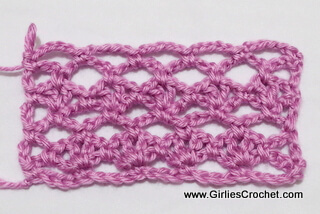 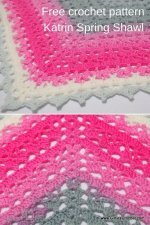 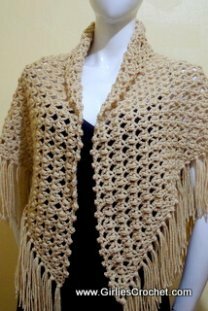 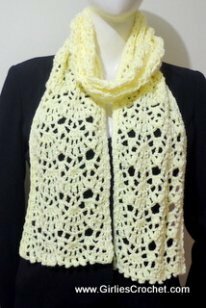 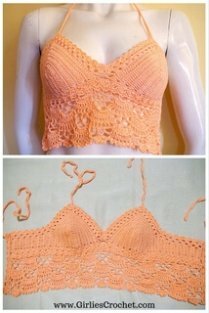 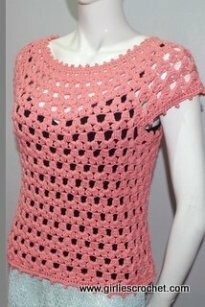 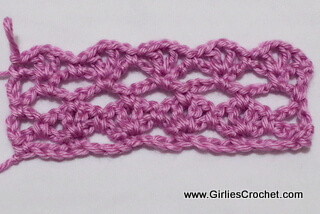 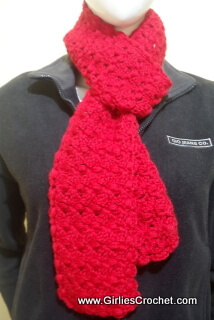 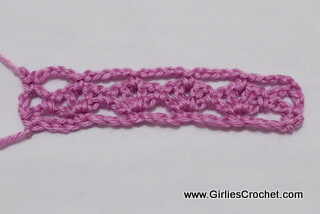 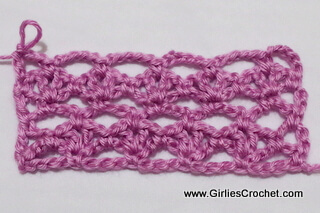 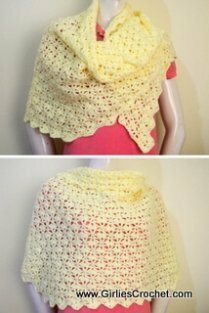 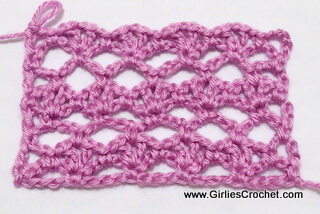 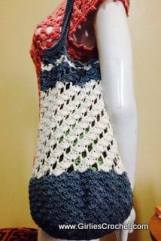 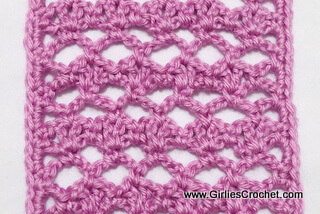 This is a free crochet stitch pattern, combination of shell st and chain 5. 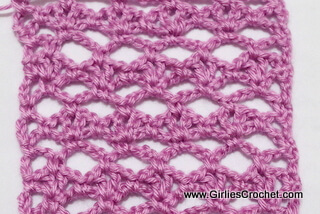 Row 8 and onwards: Rep row 3 - row 8 as you desired. 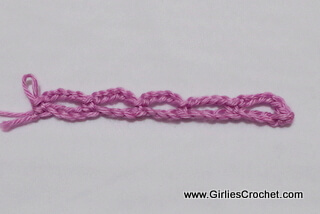 The length can be extended to desired length by adding a border and tassels at the end.